Gorgonzola is great in rissotto, adds a nice tang to mini onion tarts, and can really lift up a salad especially if paired with something like apple. But what is Gorgonzola cheese ? How does it get its taste and what’s the difference between Gorgonzola and bleu cheese ? Gorgonzola comes from the Northern region of Italy. It originated in the town Gorgonzola, but today it is mainly associated with the two northern regions of Lombardy and Piedmont. Strictly speaking it is a member of the Stracchino family of cheese but is commonly referred to as a blue cheese. It is off-white to light yellow in color and like other bleu cheeses it has a series of blue veins running through it. However the veins can vary from blue to a olive/dark green, typical of most bleu cheeses. Gorgonzola has a nutty taste and depending on its age it can have a flavor profile that ranges from mild to sharp. Texture wise it has a light crumbly structure and is perfect for crumbling over salads or even as a melting cheese, but not quite as good a melting cheese as some of the Swiss cheeses like Emmental or Gruyère. Once in your mouth it melts beautifully and really makes your mouth water. A young Gorgonzola will have a mild and sweet flavor. Like a lot of other cheeses that flavor as it matures will change to a stronger, sharper taste. How is Gorgonzola Made ? Gorgonzola is made from whole un-skimmed cows milk. It follows the typical cheese making process. The milk is heated and for Gorgonzola Penicillium Roqueforti is added along with a starter. The milk mixture is continually stirred throughout the process. Once the rennet is added cheese curds begin to slowly form. When the curds are fully formed they are separated from the remaining whey and then added to a press to form the large cheese wheels we are all familiar with. Once the wheels have been properly formed the are usually covered in a coarse sea salt, however this may vary from producer to producer. After they have spent about a week in a controlled environment it is time to start creating the blue veins that give bleu cheeses their distinctive look and flavor. Long thin sticks or metal spikes are then forced into the cheese to allow air into the inside. These airways then allow the mold to form and give the cheese its blue, veined appearance. A Gorgonzola cheese wheel is usually aged for about three or four months. During the aging process the cheese wheels need to be turned regularly to allow an even flow of air over all sides and to stop all of the moisture from being pulled to the bottom side of the cheese. There are two main varieties of Gorgonzola each with its own unique flavor Dolce, Piccante. Piccante is also called Montagna just so you do not get confused between the two. There may also be lesser known regional variations within Italy but for the most art the following two are what you are most likely to encounter. Dolce in Italian means sweet so the Gorgonzola Dolce is the sweeter of the two. The sweetness is due to it being a younger cheese i.e it is only matured for about two months before being sold. This shorter maturing time stops the cheese developing the sharper taste that is usually associated with an older or Piccante Gorgonzola. Gorgonzola Piccante is the older more mature version of Gorgonzola cheese. It is also referred to as Montagna. It was previously referred to as Naturale or Stagionato which can lead to some confusion. Ultimately the best way to remember it all is that anything other than Gorgonzola Dolce is the more mature version and it will have a sharper taste. The Piccante has deeper colored veins than its younger sibling and much stronger odor that is certainly more pungent. What is Gorgonzola Cheese Like to Cook With ? Gorgonzola makes for both a great table cheese and as a pretty good cooking/melting cheese if you really want to a bit of sharpness to your dish. Like any sharp cheese it is a perfect match to something that is a little sweeter and can really help to balance a dish because of this contrast. It is also great if combined on a pizza that has a particularly strong and oily meat on it Chorizo or Pepperoni and it can add a lot of flavor to any vegetarian dish. What cheeses make for a good Gorganzola replacement? Quite a few Bleu cheeses can be a good substitute for Gorgonzola. 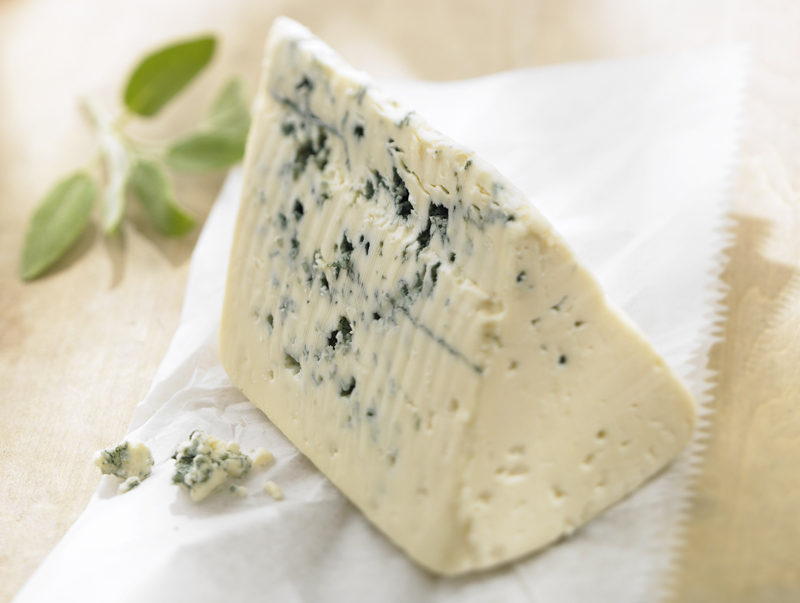 Blue Cheese(Maytag Blue) or any other cheese that has a high mold vein component like Roquefort or Stilton. Just bear in mind that Stilton is considerably sweeter than Gorgonzola and more expensive so you may want to take that into consideration.